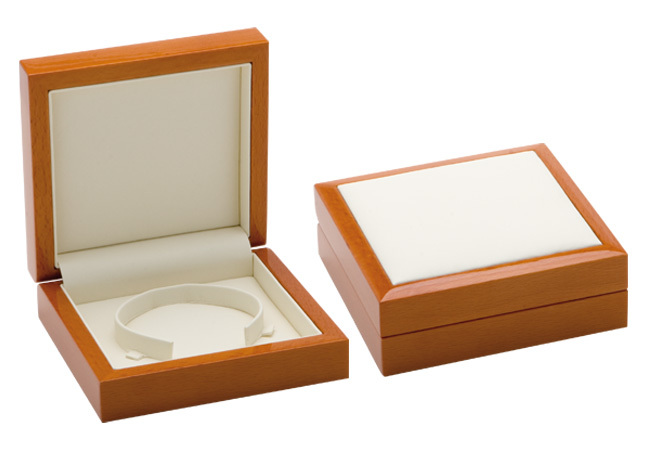 Deluxe tan coloured beechwood case in high gloss, featuring a stylish soft cream leatherette insert in the top of the snap shut lid. 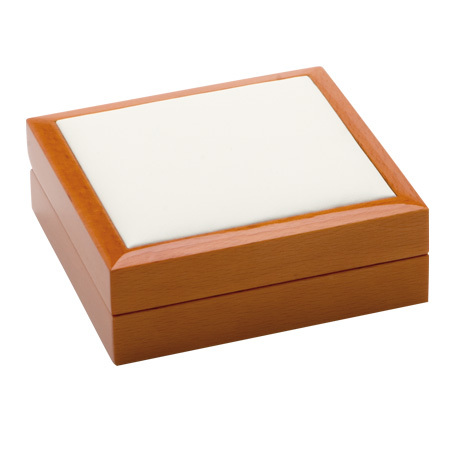 Matching cream leatherette interior adds further sophistication to the product. 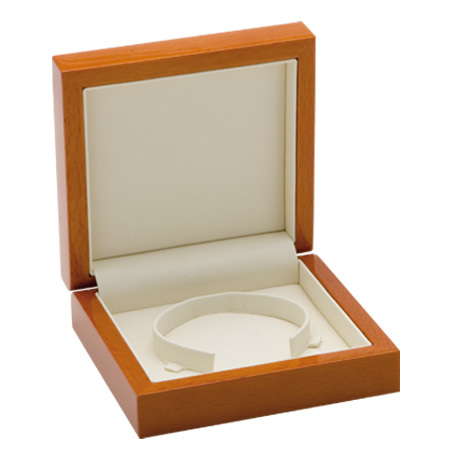 Luxury packaging designed best for elegant jewellery presentation.